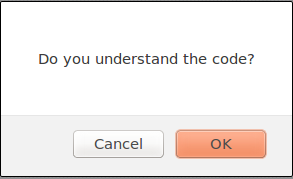 When this code will run It will prompt user for a question and depending up on what user chooses the program will proceed. The confirm box returns a boolean value which is either true for OK and false for CANCEL. you will see following output depending upon the button you click. 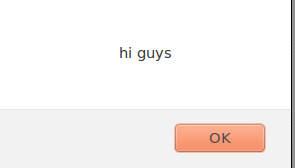 Now, you understand the confirm-box, so its time to move on to prompt. 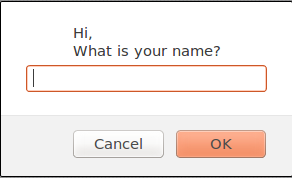 The prompt box offers an input box in which user can type in the input, it is treated as a string input. The syntax is shown in the code snippet below. This will prompt user with an input box and we can store it in the a variable and then use it wherever we want. The input will look like this. now its time to create a script which will handle the form when it is submitted.